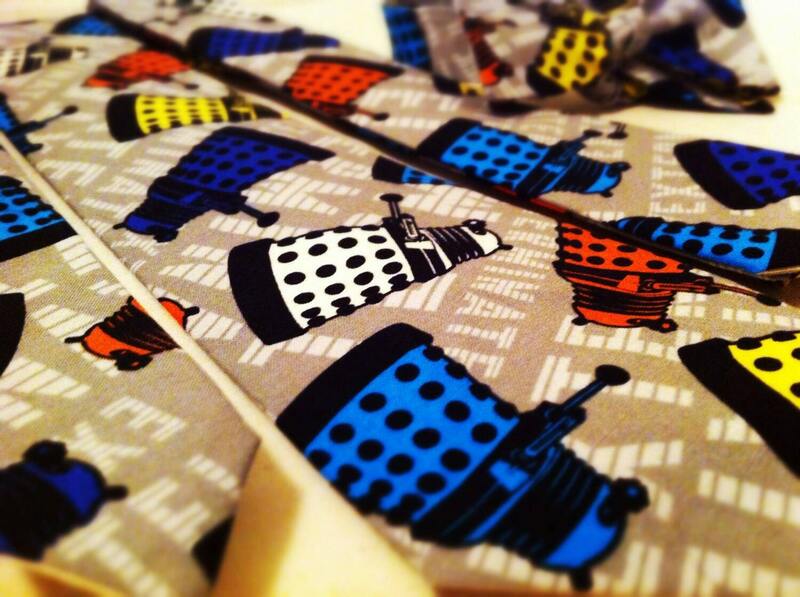 Dr. Who Dalek Necktie in bow tie, skinny tie, or standard tie styles, and kids or adult sizes. Great for any fan. Adult bow tie is self-tie, sized to 16.5", custom length available at no charge. Kids’ bow tie comes pre-tied, and has back elastic to allow it to slip over the head. Please see chart below for full necktie and bow tie sizing for children and adults. 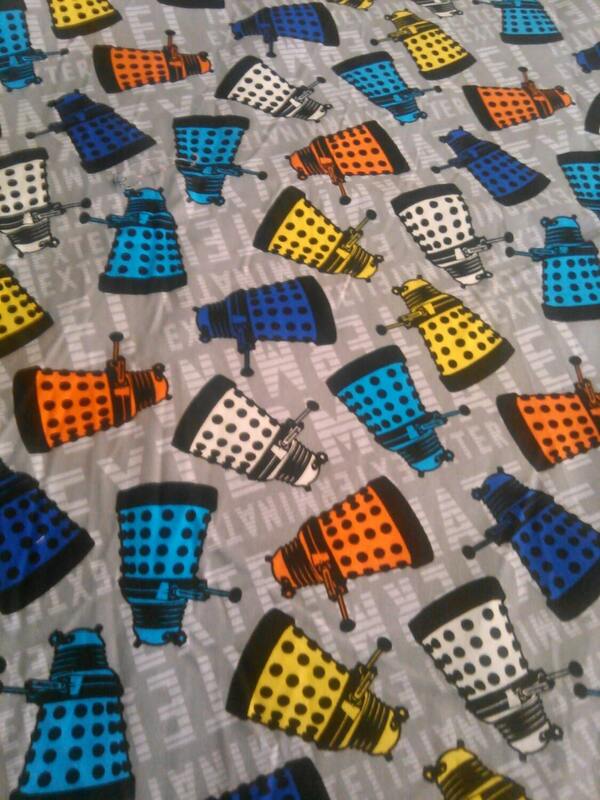 Love Dr. Who, but not this print? 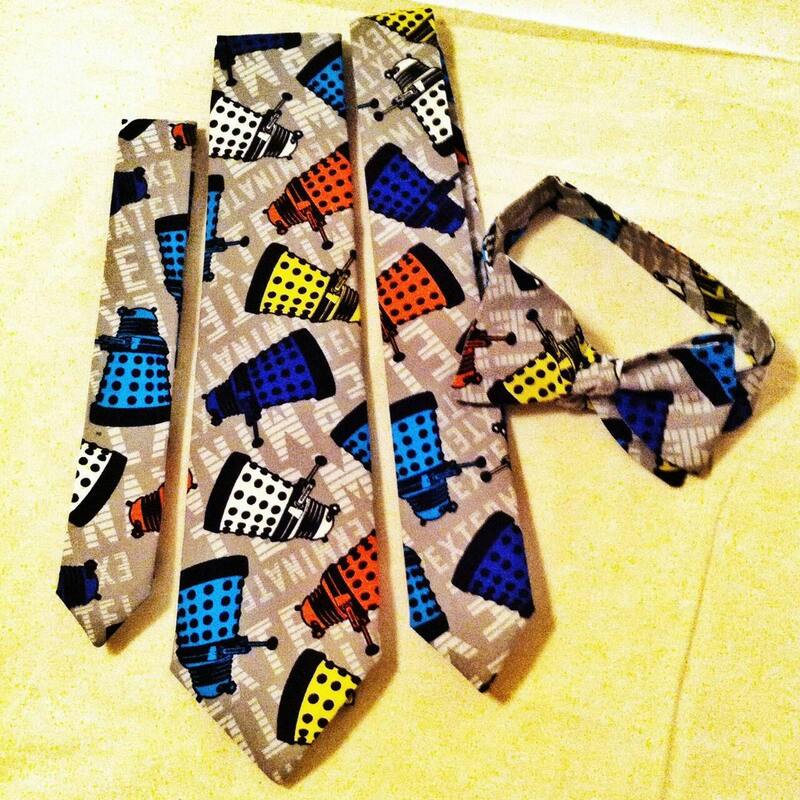 Check out other prints in the Neckties and Accessories section of my shop! Absolutely amazing tie! But for anyone older than 6 take my word and order the adult size. I thought a child size would fit our 10 year old but it could only fit our toddler, he's three. The tie itself was amazing though.